Thanks to Drs. Jaya Bajaj, Vlada Alexeeva and Mohamed Aziz, New York (USA), for contributing this case and part of the discussion. To contribute a Case of the Week, follow the guidelines on our Case of the Week page. 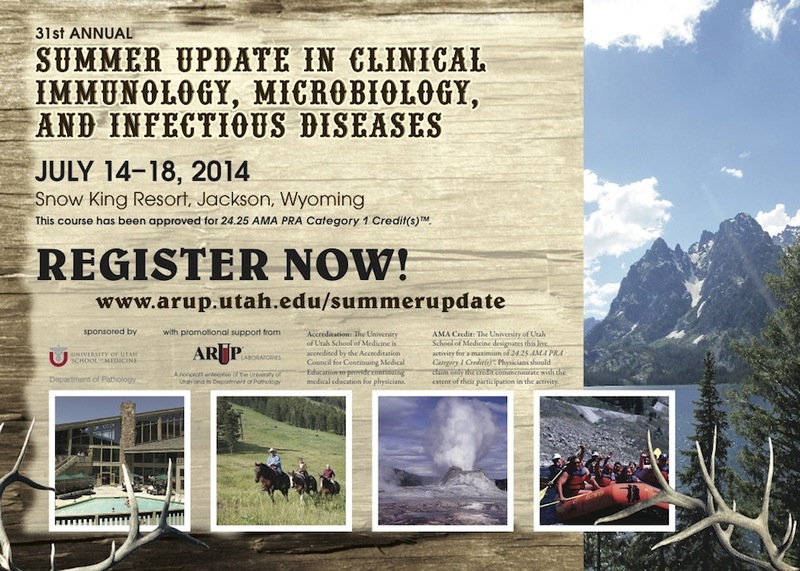 (1) For April 2014, our Feature page highlights Laboratory Accreditation / Education / CME, and includes information from ARUP Laboratories, Boardvitals Review for Clinical Pathology and College of American Pathologists (CAP). Please thank these advertisers for supporting our website! (2) Our Home Page has a new Mystery Case on the right hand side. Adrenal chapter: Adrenocortical adenoma-Myxoid by Carmen Perrino, M.D. and Debra Zynger, M.D. 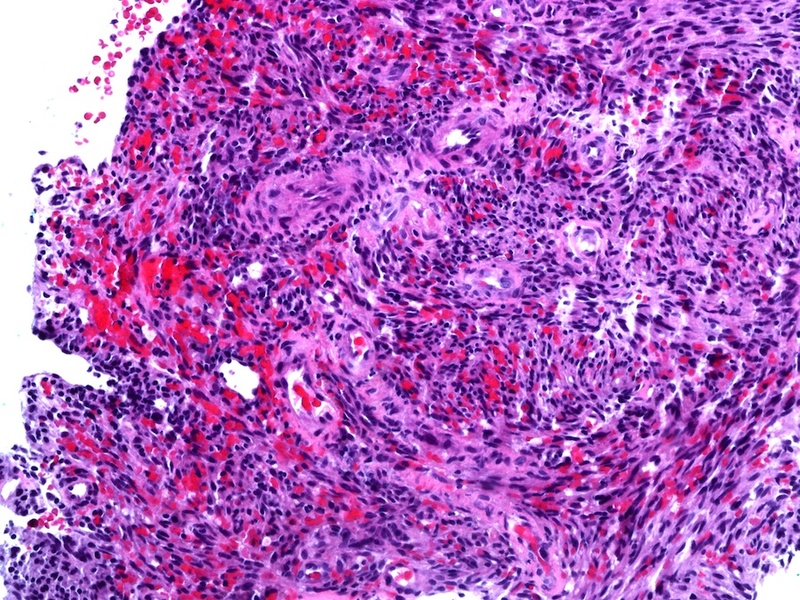 Bone marrow chapter: Megaloblastic anemia and Systemic polyclonal B immunoblastic proliferation by Xiangrong (Alex) Zhao, M.D., Ph.D.
Testis: chapter Leiomyosarcoma by Swapnil U. Rane, M.D. and Pilomatricoma and Plasmacytoma by Jennifer Gordetsky, M.D. A 65 year old man with history of colon cancer presented with a 2.5 cm groin node, which was biopsied. 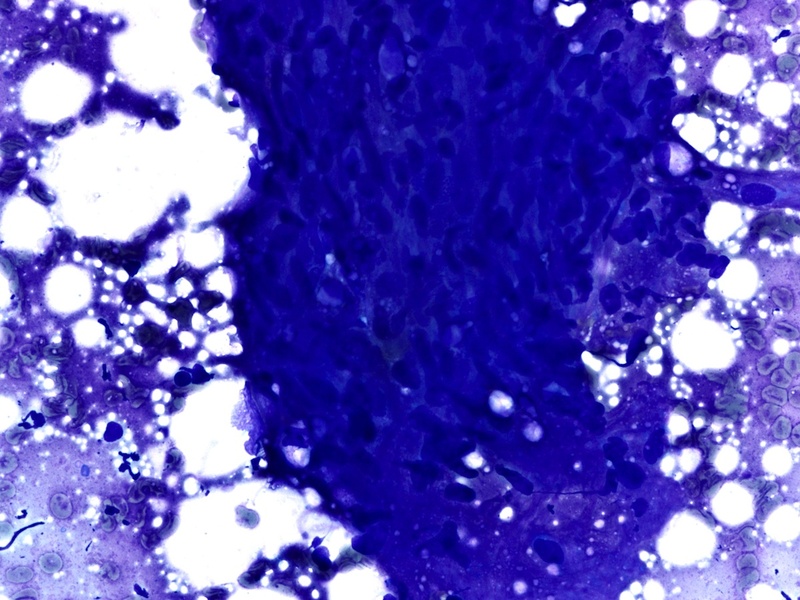 Cytology showed fragments of atypical spindle cells in a background of polymorphous lymphocytes and extravasated blood. 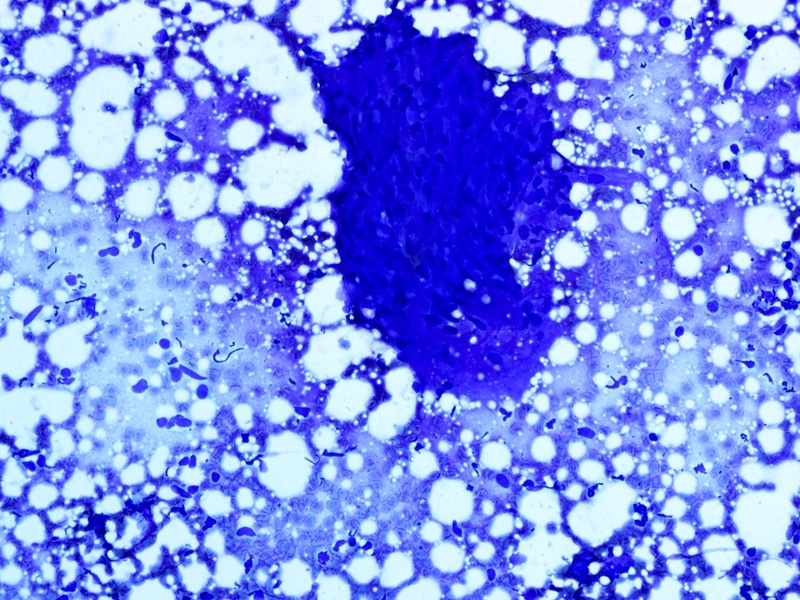 Core biopsy demonstrated a spindle cell neoplasm with hyperchromatic elongated nuclei infiltrating lymphoid tissue and no evidence of carcinoma. 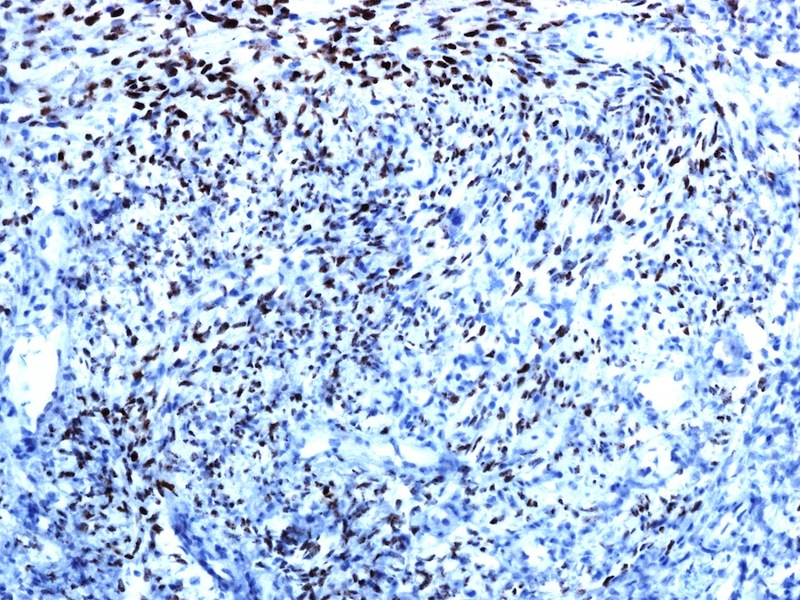 On immunohistochemistry studies, the tumor cells were positive for CD31, CD34, HHV8 and vimentin, while negative for cytokeratins, S100, p63 and desmin. 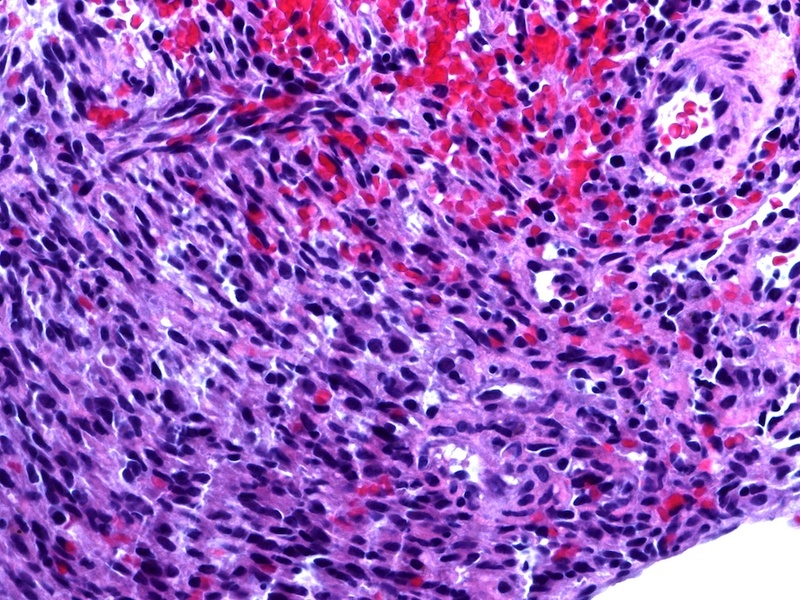 Kaposi sarcoma (KS) is the most common human immunodeficiency virus (HIV) associated malignancy, leading to angiosarcomatous change of epithelial and mucous membrane-associated connective tissue. Although specifically due to the HHV8 virus discovered in 1994 (Science 1994;266:1865), it is considered to be due to the convergence of immune evasion, oncogenesis, inflammation and angiogenesis (Eur Rev Med Pharmacol Sci 2013;17:2354). 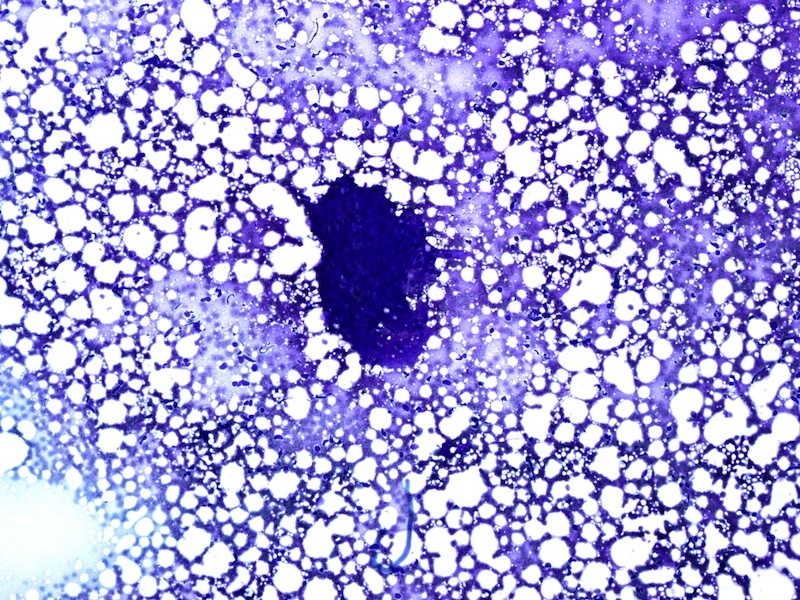 Visceral and lymph node involvement is rare. 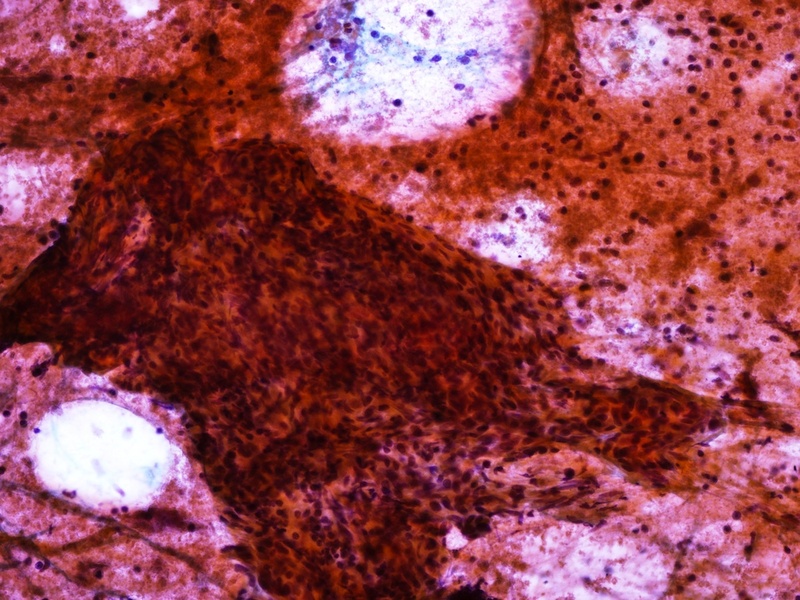 We present an unusual case of KS in an HIV negative patient. Although HHV8 was first detected in, and is usually associated with HIV+ patients, KS can be initiated through non-viral mechanisms, including iatrogenic immunosuppression and elevated expression of cytokines and angiogenic growth factors (J Coll Physicians Surg Pak 2012;22:403). Lymphadenopathic KS involves lymph nodes and viscera and may have an aggressive disseminated course. 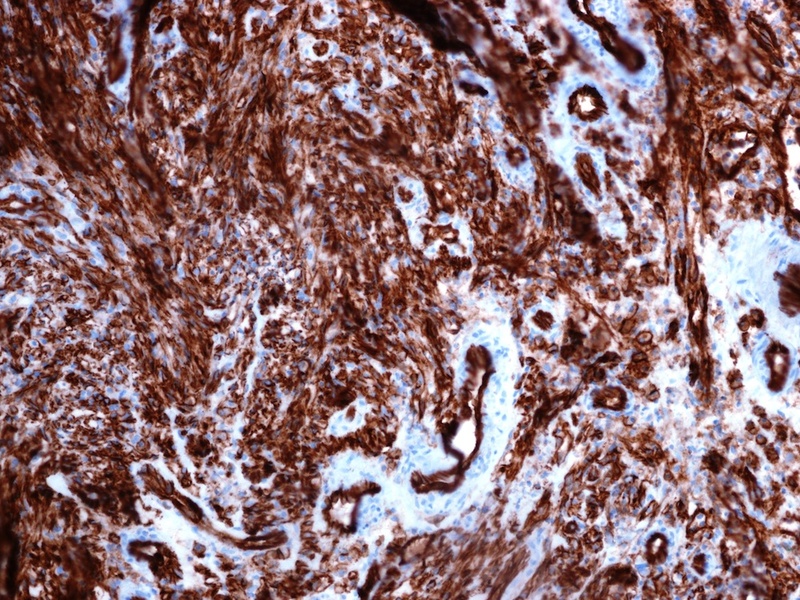 This tumor appears identical to KS of the skin, regardless of the age of the patient or the mode of presentation. Although rare in KS, lymph node involvement was reported as early as 1962. 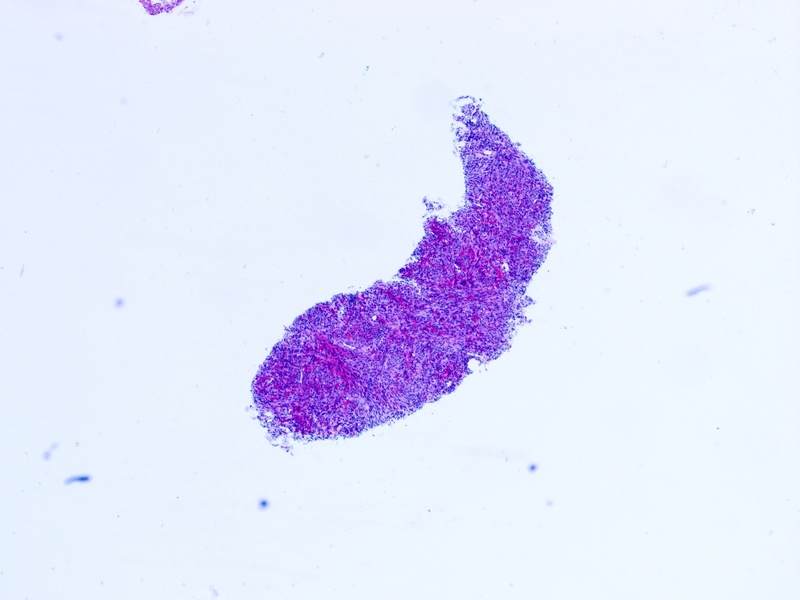 However, diagnoses on cytology specimens are uncommon, especially in immunocompetent patients. 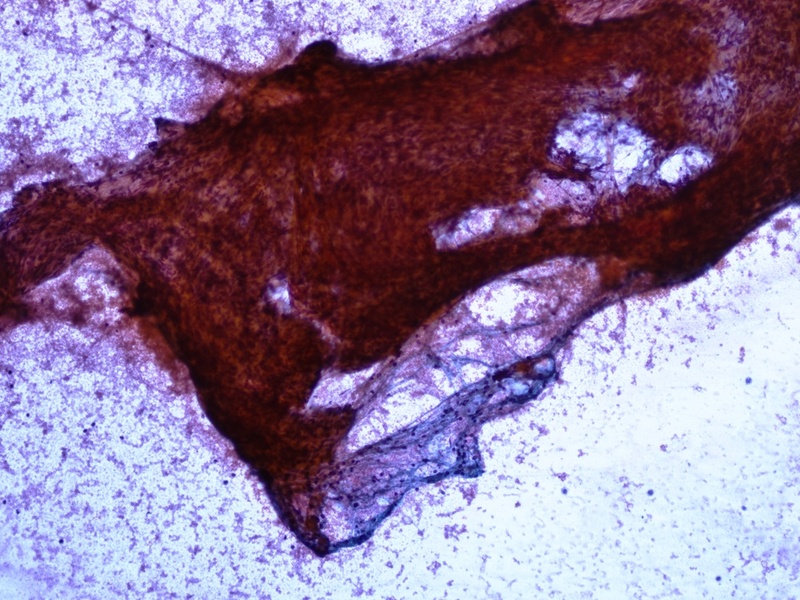 Our case reiterates the importance of FNA in diagnosing KS and emphasizes that KS should be included in the differential diagnosis of spindle cell lesions involving lymph nodes, even in non-HIV infected patients.